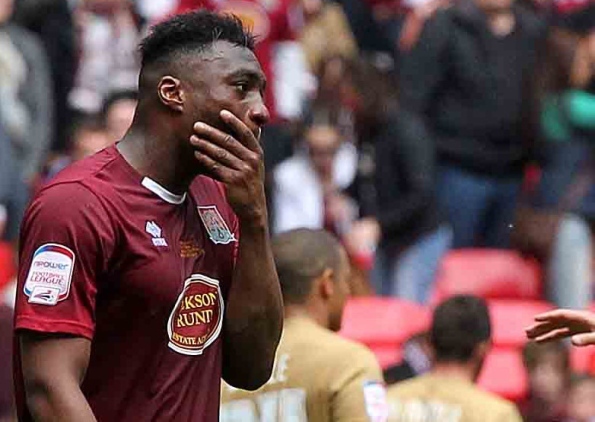 Nathan Cameron won’t be returning to Northampton Town. Released Coventry City centre-back Nathan Cameron has seen a contract offer withdrawn by Northampton Town. Cameron is one of the casualties at the Sky Blues after not being offered a fresh contract. Cameron joined League Two side Northampton on loan in March, who are managed by Aidy Boorthroyd, the man who handed Cameron his Coventry debut. Boothroyd had publicly revealed he had offered Cameron a permanent deal at Sixfields, alongside another former Sky Blue, Roy O’Donovan at the end of the season, but after not receiving a response before returning to pre-season training, the contract has now been withdrawn. Aidy Boothroyd said the matter needed to come to a conclusion one way or the other after weeks of talks. “There comes a time when you have to move on,” he said. « Chris Hussey signs for Burton Albion.